Fracturing the nose is a common injury, resulting in a painful, swollen appendage on your face. 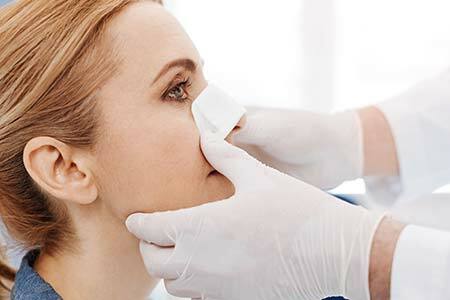 While many nose fractures can be healed quickly and easily with a slight adjustment and stabilizing, others may require more advanced facial reconstruction. A nose fracture that is left untreated can become aesthetically unpleasing, resulting in a crooked or misshapen nose. It can also lose functionality, blocking airways and impacting the sinus cavities. 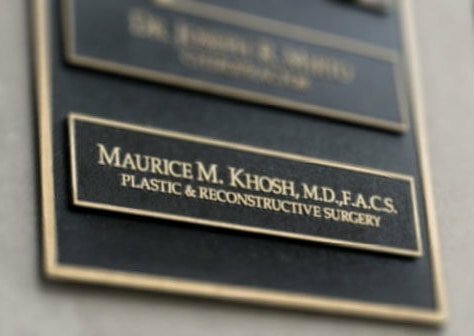 Dr. Khosh, a dual board certified plastic surgeon, is experienced in performing treatment for nasal fractures, including nose reconstruction and even rhinoplasty, if necessary. The first goal is always to repair any functional damage to your nasal passages, then focus on returning your nose to its pre-injury appearance. 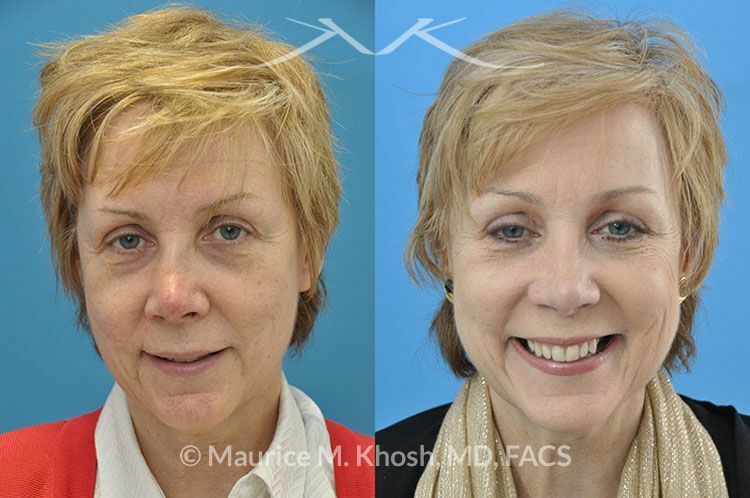 If you have sustained a nose injury or fracture, do not hesitate to call Dr. Khosh for a consultation for treatment. In many cases, a simple, non-invasive treatment can restore your nasal function and allow your nose to heal back to its former shape. However, if there is more permanent damage, you will want to schedule the appropriate surgery before your nose heals incorrectly. For more information on nasal fracture repair and surgery, contact our office today to schedule a consultation. This 63 year old lady requested repair of nose fracture in Manhattan to address severely displaced nasal bones. The broken nose was set into the correct position, also known as closed reduction of nose fracture. What can be done for a nose fracture (broken nose)? Most nose fractures involve a break in the nasal bones with displacement of the bone fragments leading to a widened and crooked nasal appearance. The displaced nasal bones can be realigned in their natural position through a procedure called closed reduction of nose fracture (setting the nose) or the alternative open reduction of nose fracture. What is a closed reduction for a nose fracture? How do you set a broken nose? In the face and nose, a broken bone will heal within two weeks. The broken nasal bones can be realigned before the bone is healed in a displaced position. The process of realigning the nasal bones without breaking them again is called closed reduction. 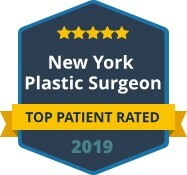 This procedure is best accomplished immediately following the injury (before the onset of swelling), or 5 to 10 days following the injury when the swelling has subsided. The procedure is commonly performed under local anesthesia in an office setting, although general anesthesia may be used in children or very anxious adults. The nose is completely anesthetized and the nasal bones are pushed back into their natural anatomic position. There is no bruising and no post treatment pain. What is a open reduction of nose fracture? Open reduction of nose fracture is performed once the acute nose injury has resolved. If the nose fracture was was not repaired with closed reduction in the first 14 days after injury, if the closed reduction was not fully successful in realigning the nose, or if there was significant cartilage damage to the bridge of the nose or the septum, then open reduction can be considered. Open reduction of a nose fracture is very similar to a rhinoplasty (nose job). This procedure is commonly performed under general anesthesia. The displaced nasal bones are broken and realigned and cartilage deformities of the nose are addressed. A deviated septum can also be treated at the same time. Patients often experience bruising for a few days and there is need for pain medication for about three days. What is the better option for repair of a broken nose, the closed reduction or the open reduction? I believe the closed reduction is almost always the best option when the injury is fresh. 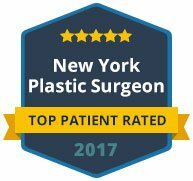 Closed reduction is a much less invasive procedure with less discomfort. If the closed reduction is not successful to fully restoring a broken nose, then the open reduction still remains an option at a later time. Does insurance cover the cost of repair for a nose fracture? By definition, repair of a nose fracture is reconstructive rather than cosmetic. As such, one would expect that the insurance companies would cover the costs of such treatments. Unfortunately, this is not always the case. Each insurance company has their own set of guidelines that pertain to nasal procedures and determination of payment eligibility remains a purvey of the insurance plans.